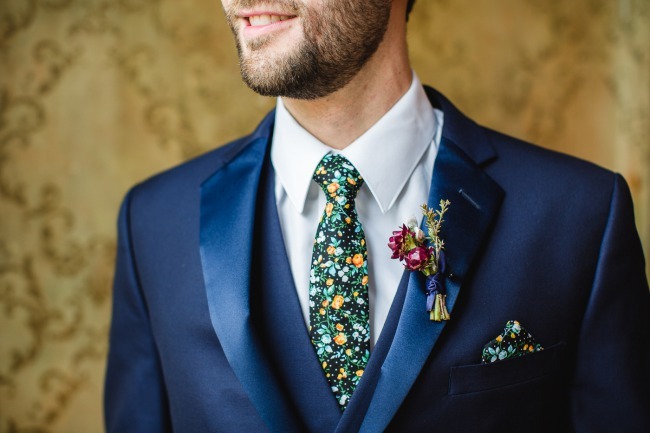 Unique attire and accessories for both the bride and groom models. 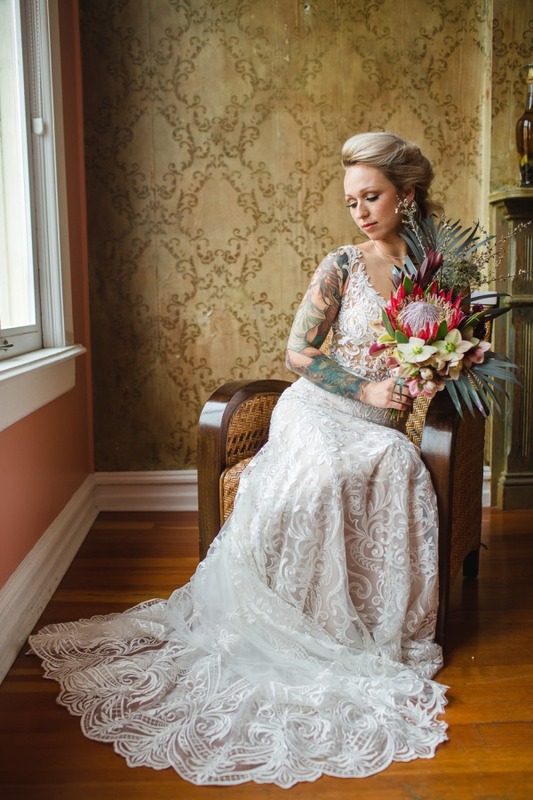 And, who doesn’t love a giant protea as a bridal bouquet focal point!? 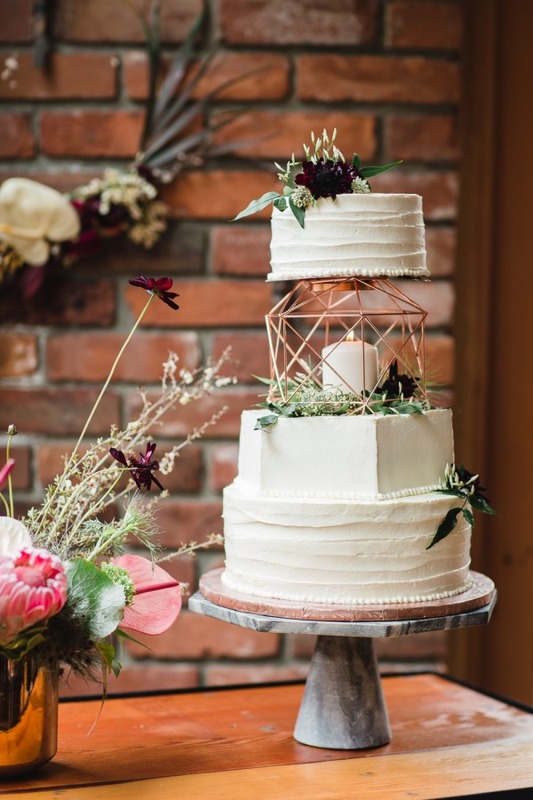 Wedding cake designers never cease to amaze us. 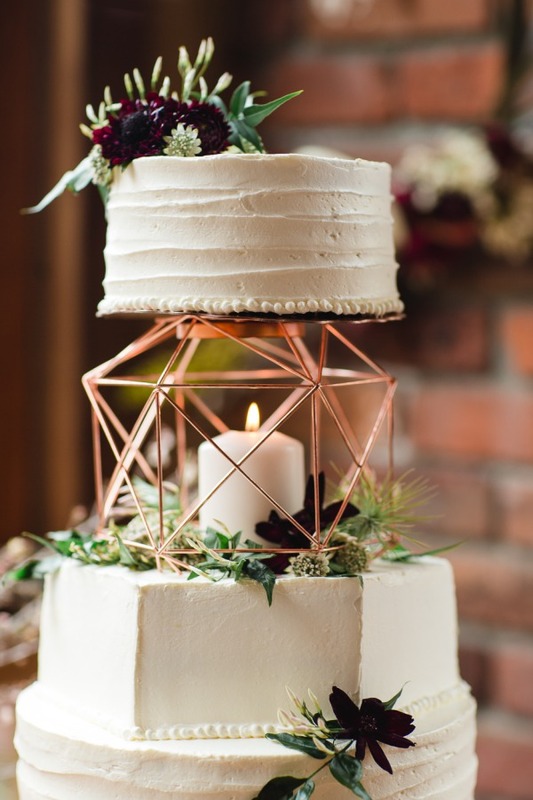 Who would have thought to insert a geometric structure in between cake layers, and then add a real candle as well! 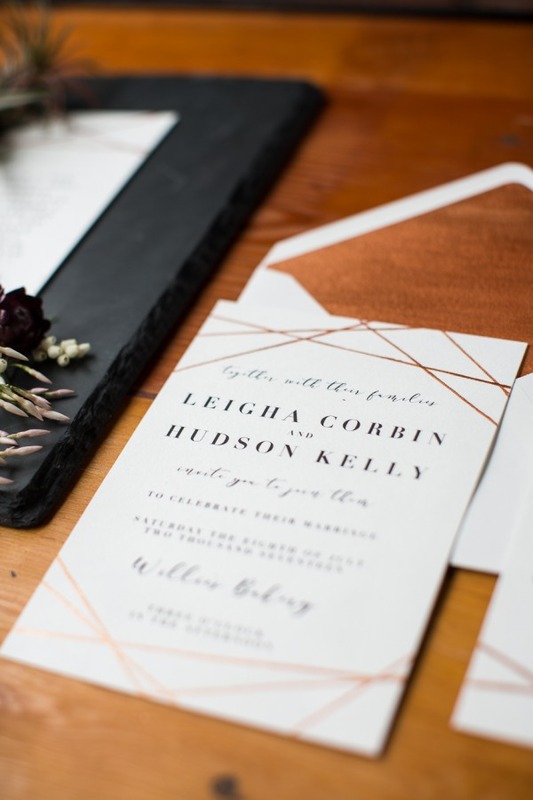 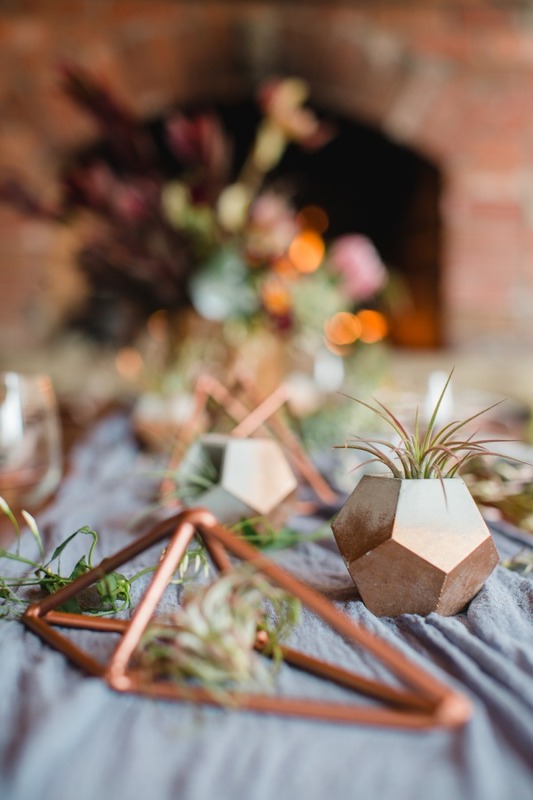 “Fresh, edgy shoot inspired by the old world industrial charm at Willie’s Cafe & Bakery, I came together with Nicole and her team at Details Events to create an urban look that suited this unique space. 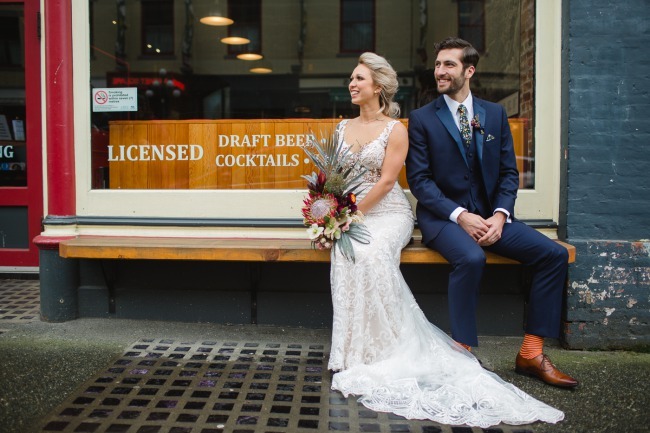 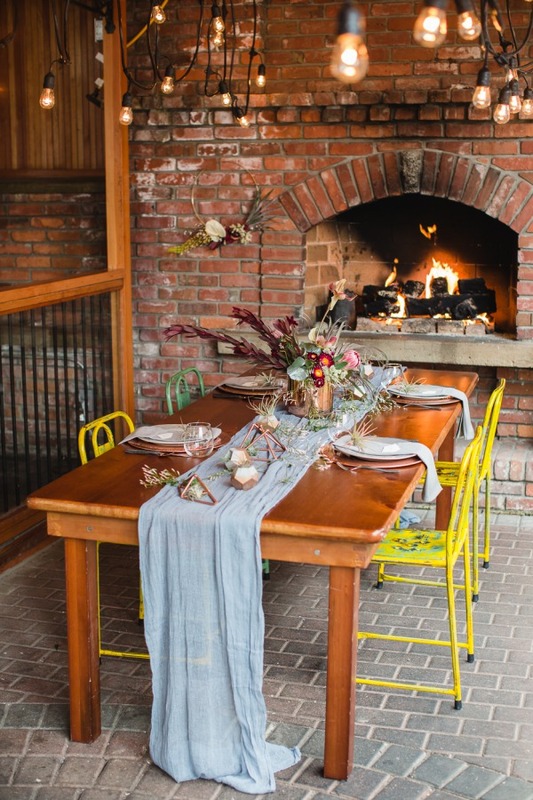 We found our perfect couple to help tell the story, who have a great mix of edge and class, and used the original brick walls from 1887 to offset our industrial decor. 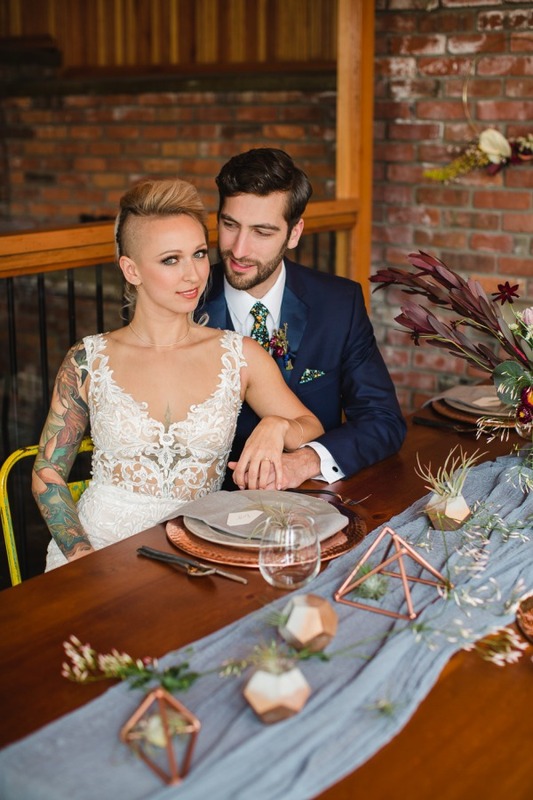 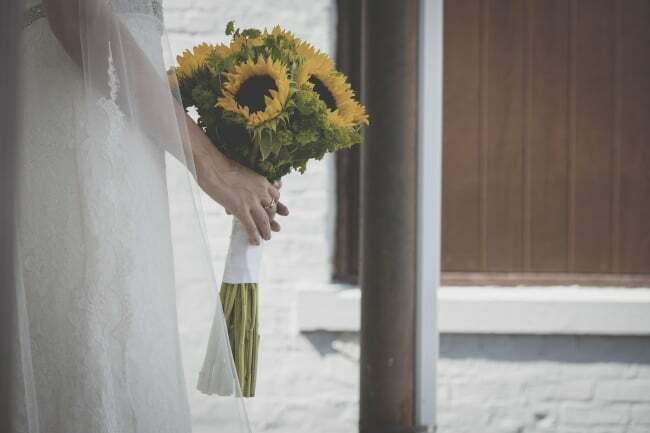 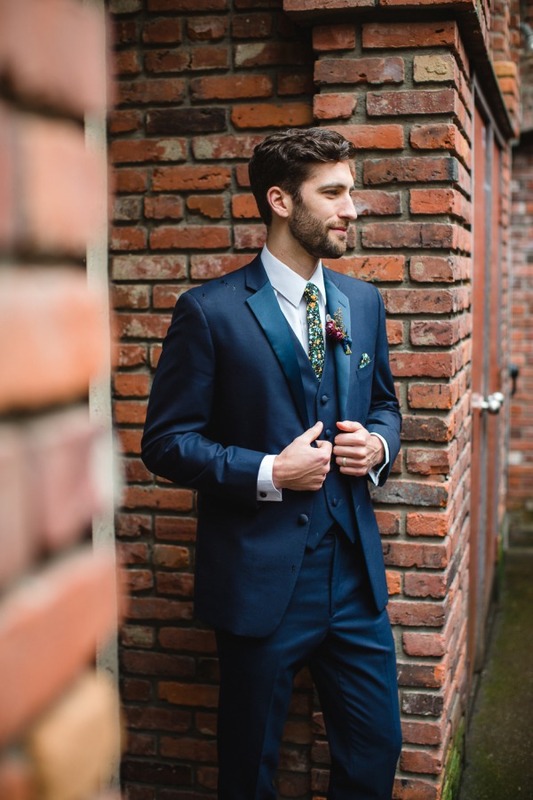 “Our couple got ready in the upstairs suite of the venue, with original wallpaper and hardwood floors. 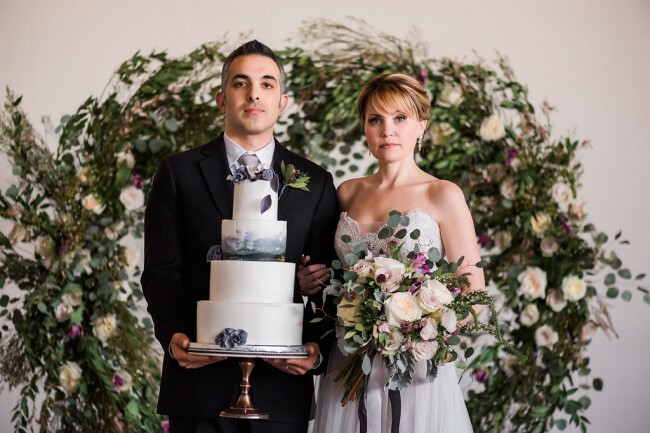 This gave a fabulous juxtaposing background for our modern portraits.